Casey Cable sets up an interpretive sign along the Carpenter Trail. More will be installed next year on the upper trails. The Carpenter Trail now has interpretive signs identifying native and non-native plants. 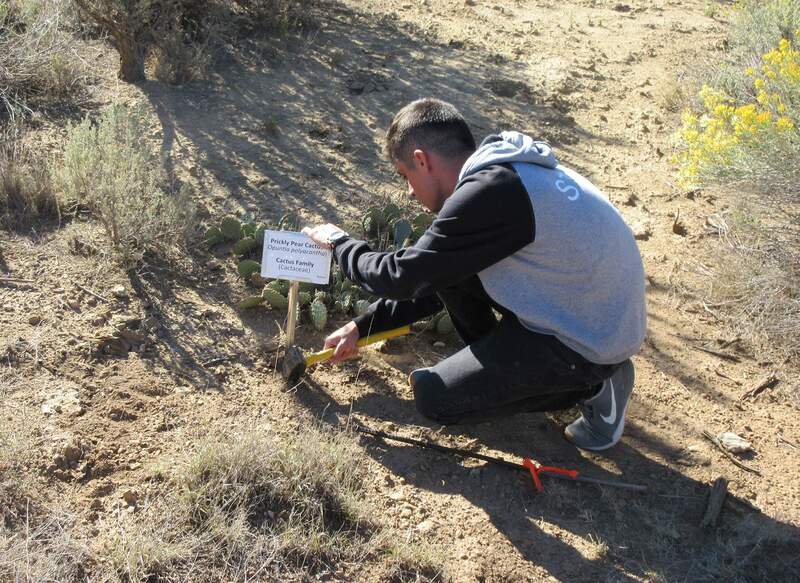 Local naturalist Al Schneider installs a label for a prickly pear cactus. 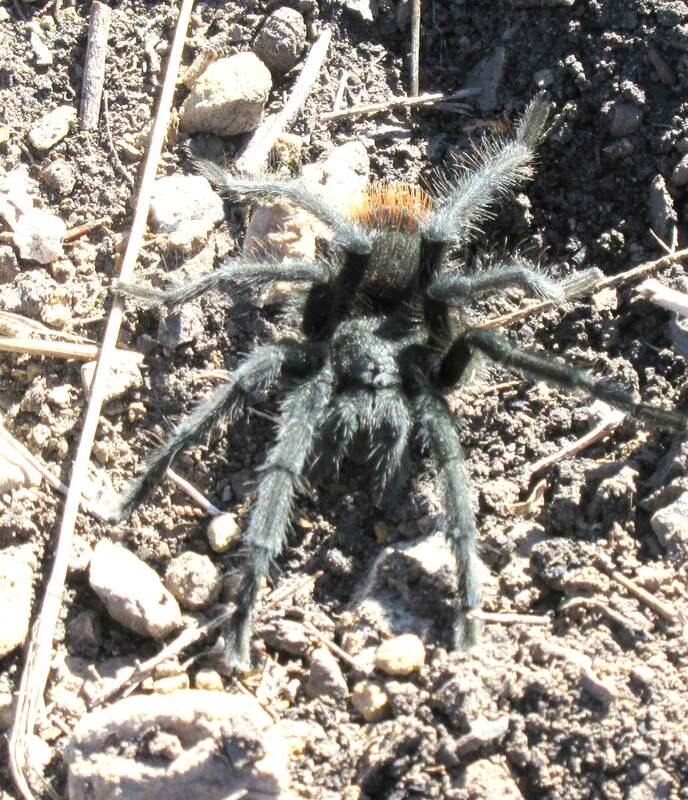 The Carpenter Trail in Cortez is home to many wildlife species, including this tarantula. Visitors to the Carpenter Natural Area can now learn more about native and non-native plants, trees and shrubs thanks to interpretive signs installed along the concrete trail this Fall. 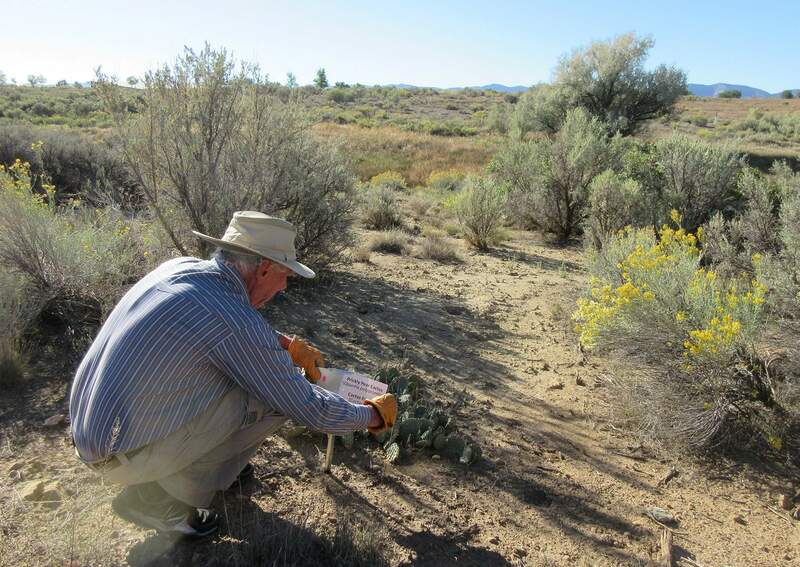 Local naturalist Al Schneider teamed up with the City of Cortez to add about 33 of the signs identifying mostly native plants. Boxes containing plant guides were installed a few years ago at the trailheads. The brochure is a comprehensive list of native and non-native plants in the Carpenter Area, which coincide with the interpretive signs. “It’s more interesting to be able to match them up to the real deal,” Schneider says. To learn even more, the plant brochure has a QR code that when scanned with a phone app brings up Schneider’s informative website documenting each plant species. The Carpenter Area is managed by the City of Cortez. Parks and Recreation Director Dean Palmquist said next year the plan is to add a few dozen more interpretive signs on the upper Carpenter trail. “The hope is that people will learn about drought-resistant native plants to grow in their yard to save water,” Palmquist said. Since the signs went up there has been more interest, and the brochure boxes are being restocked more often. The weather proof signs are designed to be seen without leaving the trail. “A woman said she has lived here all her life and had no idea about the plants, and now she was having fun learning,” Schneider said. Also this summer, the Southwest Conservation Corps worked on improving trails at Carpenter, and fishing access at Denny Lake. Switchbacks were added on three Carpenter trails so they are more sustainable, and easer to hike. Redundant trails were closed to allow for revegetation. 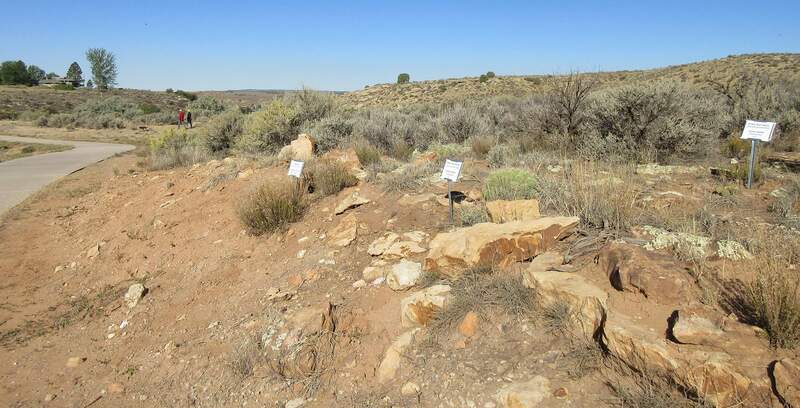 The interpretive sign project and trail renovation were funded in part by a three-year grant from the Montezuma County Inspire Coalition, a local program supporting outdoor education and recreation.